I don't know what I expected when I decided to play this Super Smash Bros. clone. Part of me was excited to see some of the Cartoon Network originals like Johnny Bravo and the Powerpuff Girls duking it out against Dexter and Dee Dee. But I should have known it wouldn't be a pleasurable experience. 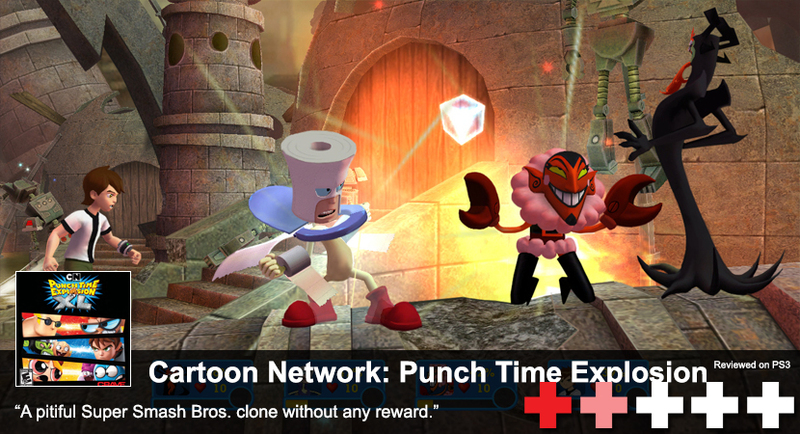 Almost every bit of Cartoon Network: Punch Time Explosion XL is a disaster. The worst aspect is the combat, which is the main focus of this game. Landing an attack never feels satisfying or that its doing any real damage. The way you tell it's landing is the damage meter increases on their character's portrait on the HUD. If you're familiar with Super Smash Bros., you don't have a set number of health to deplete but rather a damage meter that displays the amount of punishment produced on a character. The higher the number, the more likely that character is going to be knocked out of the play area and lose a life. Punch Time Explosion also has this system in place, but it just never feels like the damage is critical like it does in the Smash series. There's hardly any impact notification, sound effect or anything. There are a few modes to choose from in the main menu, campaign being the main mode you'll play since no one is going to sit with you to play this bad game. In campaign, you start with a couple of characters and unlock more as you go. All of the story lines are connected, but I don't remember high. 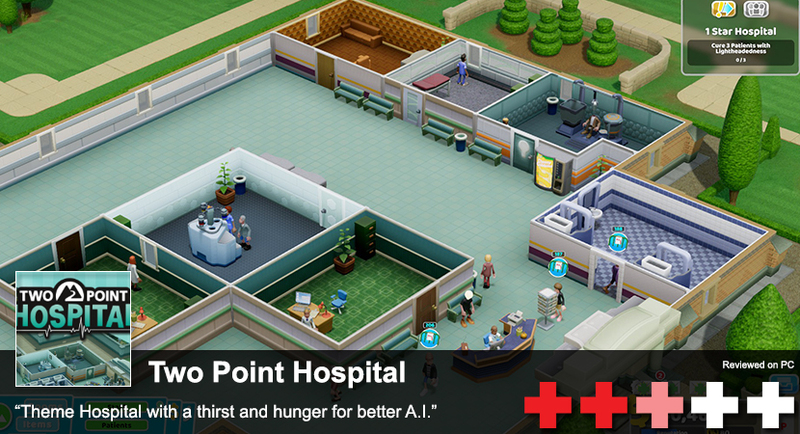 The story is mind-numbing and boring, even for a kids game. The game isn't a flat out fighting game in campaign and introduces some awful platforming to make it feel like a real game. What I was hoping for was to play through a character's story line like any traditional fighting game and unlock something related to that character after completion. Maybe a costume or level. Instead, you unlock a select number of the playable characters in one continuous story. 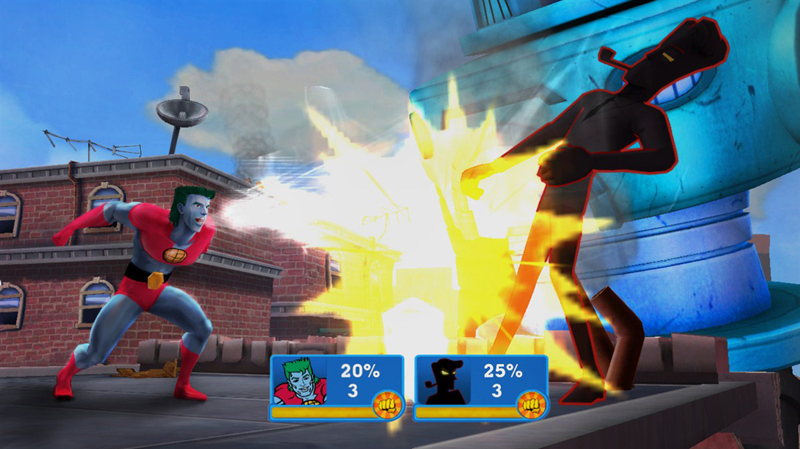 Each character or set of characters you play with do unlock a familiar face in the cartoon's series over time. The character's story line has a set of 3-4 levels to play though to proceed. You'll either be fighting another character, platforming, or doing a boss battle. The formula isn't bad, but the gameplay leaves too much to be desired to enjoy any of it. If you're done going through the story mode—the story mode that does not have a proper Johnny Bravo story—then you can move onto the versus mode which is all Smash clone. You can set up timed matches and life depletion matches. If you decide to skip the campaign, you're not going to have many characters to start with. You need to finish the campaign to unlock more than the handful of characters from the start. And then when you finish beating the campaign, you need to spend points to unlock levels and the rest of the cast. Managing the suffer through the bad combat is one thing, but in a versus match it's incredible that the developers never thought about having a rematch option after you're finished. Instead, you're forced back to the main menu to set everything back up again. It's almost like they knew after one match, you'd never want to play again. There's really not much else to talk about with this. It's a kids game that lacks polish, a good story, and fun. There's many kids games that are competent, this is just not one of them. This is below B-tier gaming with a bunch of franchises slapped on the title. Giving your kids this game as a gift is a form of child abuse, and you should feel bad for doing so.